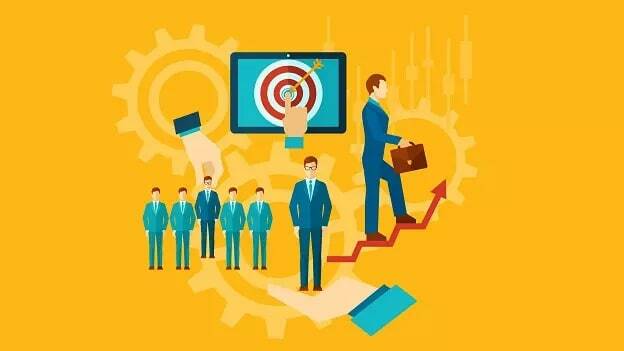 With technology becoming a key driver in the recruitment strategy for the companies here we look at the key drivers and technologies that drive the recruitment process of organizations. 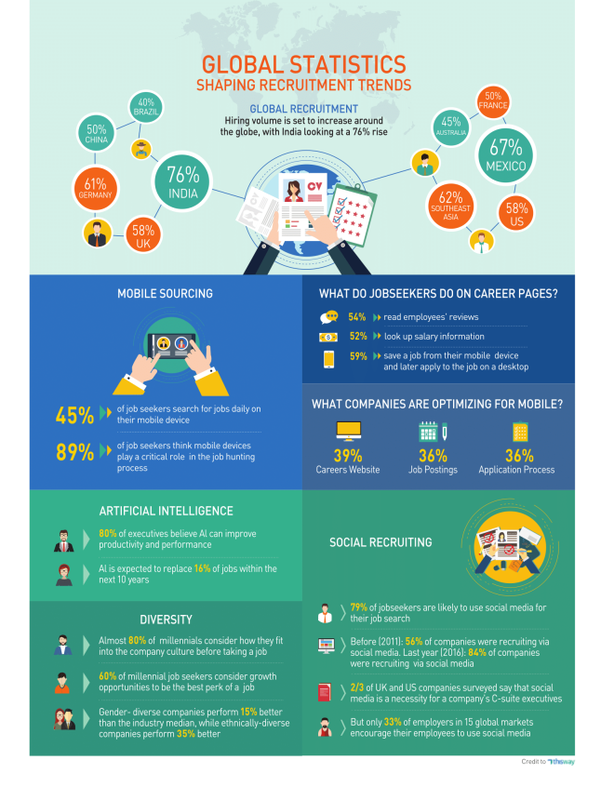 45% of job seekers search for jobs daily on their mobile device.89% of job seekers think mobile devices play a critical role in the job hunting process. 84% of companies were recruited from social media in 2016. 80% of the executives believe AI can help the performance of the company. 80% of the millennials consider how they fit into the company culture before taking a job. 60% of the millennial job seekers consider growth opportunities to be the best perk for their jobs.